If you’re tired of the usual iced tea served in most restaurants and fast-food chains, then you should try Fresh Mango Iced Tea by Icebergs. Fresh Mango Iced Tea is home-brewed tea with fresh mango chunks. You can get this cool and refreshing drink for only Php68.00. If you love ripe mangoes like I do, then I’m sure you’ll enjoy this, too! 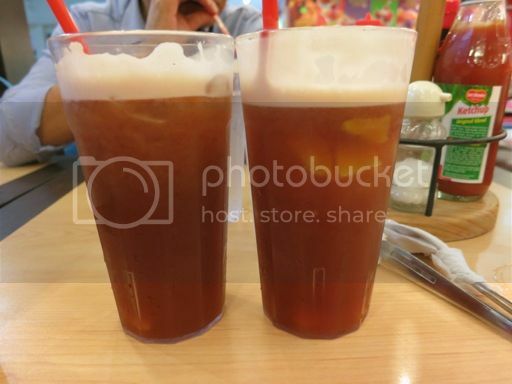 This entry was posted in Drink of the Day, Fresh Mango Iced Tea, Icebergs. Bookmark the permalink. I’ll order this next time when we dine at icebergs. love the idea of adding fresh fruits to tea!